Keyway Lock & Security serves Melrose Park and surrounding areas with our full spectrum of professional locksmith solutions. From safe services to our commercial, residential, and automotive locksmiths, we offer everything you need in the lock and security department. If you need a Melrose Park locksmith quickly, we are the service provider for you. Our locksmiths are trained and certified to deliver our services. We have the expertise and experience needed to serve Greater Chicagoland’s locksmith needs. Keyway Lock & Security is a fully licensed locksmith service. We carefully screen our locksmiths and employees to ensure they meet our high standards of excellence. Our customers’ security is our number one priority and our locksmiths share our vision for putting our customers’ needs first. When you contract with us, you can expect a commercial, residential, or automotive locksmith to show up at your Melrose location on time and in uniform. Our locksmiths are easy to identify by their Keyway Lock & Security uniforms and vans. 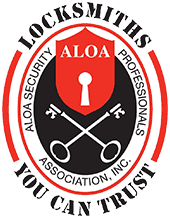 They have the skills to repair locks, install new locks and safes, and consult with our customers about a wide array of security concerns. If you’re looking for professional locksmiths with years of experience, you’ll find them at Keyway Lock & Security. Keyway Lock & Security offers a full lineup of residential locksmith services for our Melrose Park customers. Some of our most popular offerings include key duplication, installation of keyless entry systems, lock installation, high-security locks, and our emergency lockout service. 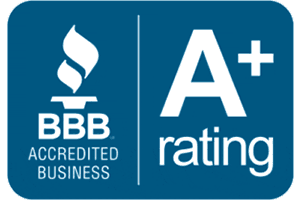 We charge affordable rates for our services and can consult with you about everything related to home security, including smart locks, home security systems, burglar alarms, surveillance cameras, and more. 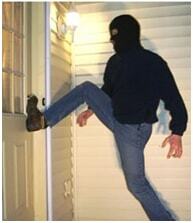 We invite you to talk to us about upgrading your home’s security and protection. When it comes to commercial locksmith services, we have experience working with both small and large businesses and industries in and around Melrose Park, IL. Our commercial locksmith Melrose Park services include safe installation, lock repair, key duplication, high-security locks, alarm systems, and so much more. Protecting your business and employees is paramount to your company so we take it seriously. Talk to our professional Melrose Park locksmiths to learn how you can upgrade your business’s security system and locks with some of the best products in the market today. Keyway Lock & Security offers affordable automotive locksmith services. Whether you’ve broken a key in the ignition, need a new key fob, need car key replacement, or lock your car keys in your trunk, we can provide the fast services you need. Our goal is to get you back on the road as quickly as possible. If you have an emergency lockout situation, you’ll want to keep us on speed dial! From safe installation to high-tech locks, our services are varied, affordable, and always delivered by our skilled locksmiths. We feature two locations in the area to serve our clientele because we’re also in the hardware business! We feature many of the best products in the industry to serve our customers’ security needs. We can also visit your location to provide our locksmith services. Don’t trust your security to just any provider. Contact us when you need professional Melrose Park locksmith service.